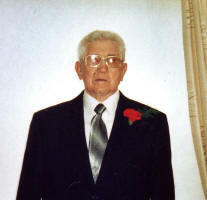 Maybole lost one of its “good and faithful servants” when Robert Malone of Roderick Lawson Terrace died recently after a period of illness. At his funeral service last week in Our Lady & St Cuthbert’s Church, Fr Stephen McGrattan said Robert bore his illness bravely and with faith. Fr McGrattan spoke affectionately of Robert’s involvement with the church saying he was the longest serving altar server in Maybole, serving at Mass for many, many years. “Robert was a great altar server,” he said, “reverent, precise, organised. “His faith, nurtured by his family and regular involvement with the Church, became Robert’s anchor and mainstay through his entire life and death. “Robert can rightly be described as a holy man, yet he was never aloof from real life or the world. “He was into everything – and you could meet Robert several times in one day. If you went to Mass in the morning he’d be there, if you golfed at Brunston in the afternoon you’d find him there too, and recently, if you went to a birthday party in the Speaker’s Club you’d find him there too as doorman. “He loved building up community and being available to the community, playing his part, and for this he will be sorely missed by many people. “Robert’s life was extremely full. He took being “oldest brother” very seriously and to me and all the priests of the parish Robert became very attentive, and a good friend. “The priests and Bishops who visited always appreciated his welcome and care – and Fr Jim Hayes, my predecessor, the priests in the South Ayrshire parishes and the Bishops have all sent me wishes of condolence and asked that I pass them on today to Robert’s family. “Here in this church Robert acted as sacristan, setting up for Masses, sang in the choir, trained and helped the young altar servers, came to meetings, belonged to committees; in fact anything you asked he was delighted to do, and do well. 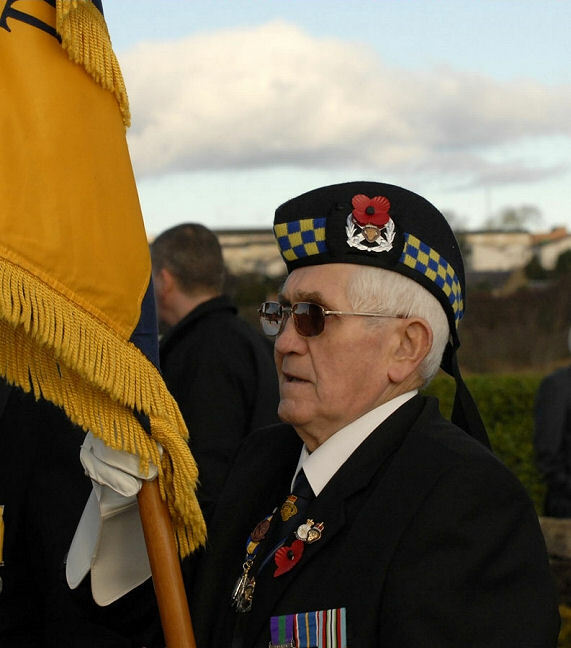 Following his National Service and subsequent service in Malaya in the 1950s, Robert played an active role in the Royal British Legion Scotland. He faithfully attended meetings of the Maybole branch and took on the role of Branch Standard Bearer representing the branch at numerous parades throughout Scotland. Fr McGrattan added, “Robert was a faithful member, he wore his insignia with pride, and bore the colours with meticulous care, entering competitions and performing highly. “It is fitting that members of the British Legion local branch, as well as branches throughout Ayrshire, come to honour him today. “It has been a privilege to have Robert as a friend. It has been a beautiful gift to be able to minister to him as a priest – he taught me so much on his journey.” The evening before the funeral, when the coffin was taken to the church, the local branch of the RBLS paid tribute to Robert when William Milligan and Mark McEwan carried the branch colours into the church and standard bearer insignia were placed on the coffin. Councillor Brian Connolly added that "As a new Chairman I only had the benefit of Robert's advice for a short time, but his dedication to the Legion was clear as was the standards he set and expected from all of us. He was a highly respected member and will be sadly missed." Following the funeral service, the cortege made its way to Maybole Cemetery where standard bearers of the local branch and other Ayrshire branches led mourners to the graveside where, after committal prayers, everyone was given a poppy to put in the grave. As well as his church and Legion involvement, Robert was the chairman of Maybole & District Seniors Forum, a post he held until his death, and served on the Steering Group which formed Maybole One Stop Shop. Robert is survived by his wife Christine, their sons Robert and James, and their families. They would like to thank everyone for their condolences, flowers, cards and the many kindnesses shown to them.